Which U.S. Coin Has No Copper in It? Which Circulating U.S. Coin Has Absolutely No Copper in it? Various United States coins. Image Copyright: © 2016 James Bucki; All rights reserved. Every Circulating U.S. Coin Has Some Copper in It Except One! Every single U.S. coin ever struck by the U.S. Mint for general circulation has some amount of copper in it, except one. Which coin has no copper in the alloy? First of all, let's be clear about the question. 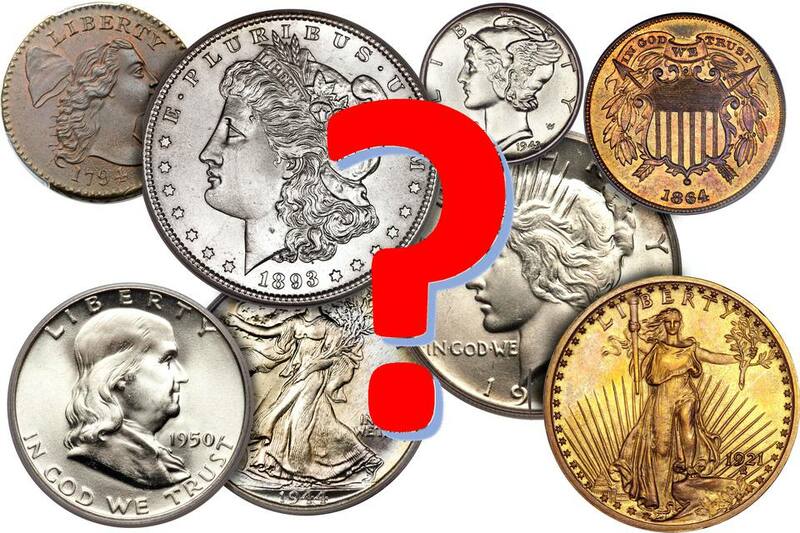 We are referring to U.S. coins that have been struck by the U.S. Mint for general circulation, so that rules out any bullion coins, such as the Silver Eagles (99.93% silver) and the Gold Eagle series (91.67% gold). Actually, though both of these coins do have small amounts of copper in them (0.07% and 5.33% respectively.) The other coins we can rule out are pre-federal issues, such as colonial coins (although a goodly number of them had high amounts of copper). Additionally, there are several bullion coins that were strictly made for collectors that have absolutely no copper in them. One of the first ones are the American Buffalo.9999 Fine Gold Bullion Coins and the 2009 Ultra High Relief Gold Coin. These coins are bullion coin specifically made for coin collectors that have some of the finest gold the mint has ever used. Also the 2016 Centennial Gold Coins (gold versions of the Mercury Dime, Standing Liberty Quarter and Walking Liberty Half Dollar) do not have any gold in them. Regarding silver coins, the America the Beautiful Silver Bullion Coins are made with .999 fine silver. During the U.S. Mint's issuing of normal circulation coinage, every coin (except one) had at least a little bit of copper in it. Even coins such as the Morgan and Peace Silver Dollars have a little bit of copper (90% silver, 10% copper.) The circulating gold coins have some copper, too (ranging from 8.5% to 10%.) You can also rule out Nickels (which are actually 75% copper!) There is 10% copper in the pre-1965 Dimes, Quarters and Half Dollars, and the Cent, of course, was mostly copper until 1982 when it became a copper and (mostly) zinc mixture. Think about the pennies again for a minute, though... Were all U.S. Pennies made with some copper? It turns out that the only U.S. coin made for circulation that has no copper in it at all is the 1943 Steel Wartime Cent! Why Do All Circulating U.S. Coins Have Some Copper? Although there isn't a definitive answer, a historical analysis reveals that the early United States Mint began making coins with 100% copper in them. When they shifted to gold and silver coins, an alloy of copper was used to help the coins strike better and last longer in circulation. Another words, the coins Made with a little silver in them held up to the wear and tear of commerce.